Natra was born in Bucharest, and he began studying music with Leon Klepper at the Jewish conservatory there in 1942. He began composing at a young age, and his work in 1944 for orchestras, called « March and Chorale », earned him the status of a modernist in Romania. The Israel Philharmonic Orchestra performed this work in 1947 under the direction of Edward Lindenberg. For this work and for the « Divertimento in classic style » from 1943, he received the Enescu prize. In 1961, Natra and his wife, Sonia, a sculptor, emigrated to Israel. A year later, conducted by Sergiu Comissiona, the Israel Philharmonic performed the « Symphony for strings », which was the last piece he had written in Romania; and the « Music for violin and harp », performed by the violinist Miriam Fried and the French harpist Françoise Netter. Besides composing music, professor Natra taught music. 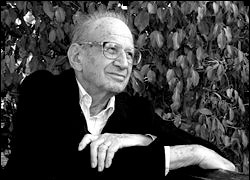 In 1975, Natra was a guest composer at Tel-Aviv University, where he taught music of the 20th century, composition, and analysis of forms. He was a professor at the Tel-Aviv Music Academy until 1985. Among his hundreds of students were the conductor Lior Shambadal, composers Erel Paz, Ella Milch-Sheriff, Deborah Rothstein Schramm, Dror Elimelech, violinist Yehonatan Berick, pianists Sally Pinkas, Eugene Alcalay, Sivan Silver and Gil Garburg, Dr. Eran Lupu and many others.